Projected Spaces was a sound and light installation. 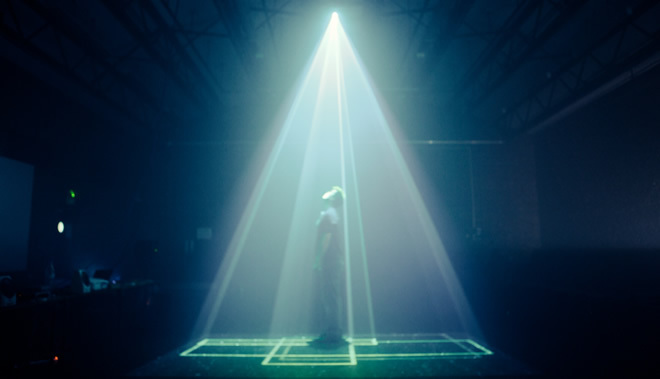 It took the global coordinates of tweets from Twitter’s Firehose - a live subset of all public tweet information - to produce virtual rooms with generated resonant tones enclosed by walls of light. This produced the sensation of being inside a solid room, before slowly evolving into another generated room. I wrote the code to pull coordinate information from the Firehose tweets and fed quadrangle information into Max - a visual programming tool - via Open Sound Control (OSC) messages. From here, Jerry projected the space from an overhead projector into a smoke-filled room and generated the appropriate tone for the room’s dimensions. The installation was on display briefly at Richmond College, London. Tweeting Machines was a robotic rhythm generator. 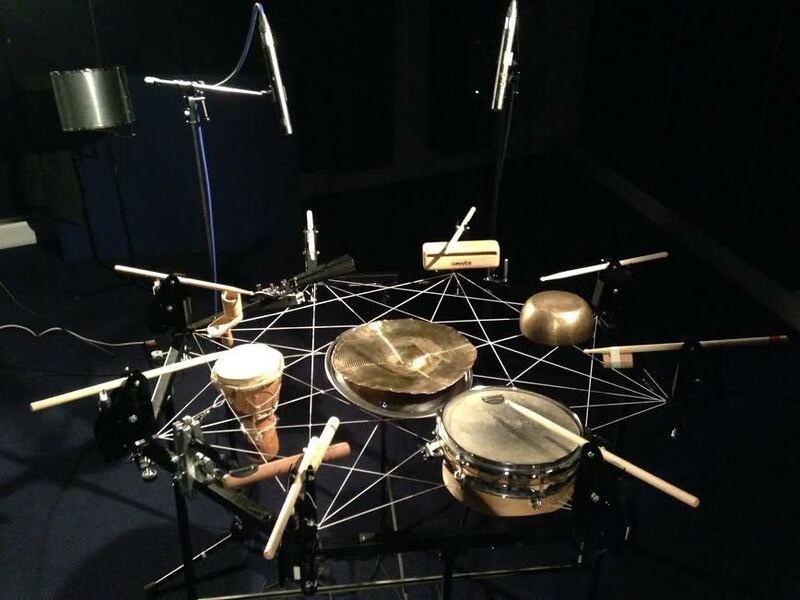 Visitors to the installation tweeted simplified musical scores which were then performed live on a servo-powered drum machine. A syntax for composing scores was devised to make the most of Twitter’s 140 character limit and a language specification published. I wrote an interpreter in C# to convert the musical expressions into timed requests for the robot’s servos via Max. The source code for the interpreter is available on GitHub. The installation was on display at the Innovation in Music conference in early December, 2013 and then later at the MEX Maker Show in late December. 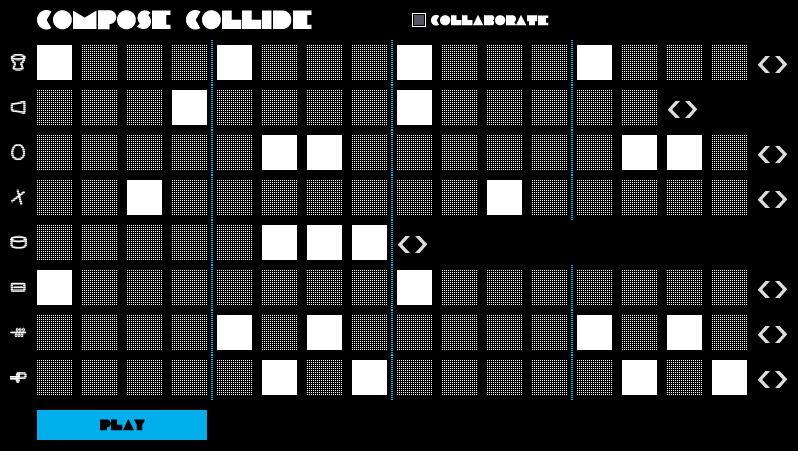 Compose Collide was the successor to Tweeting Machines. Designed to overcome the difficulty of creating text-based scores, a new web-based UI was devised, available to mobile users visiting the installation. The installation was on display at the Natural History Museum as part of Universities Week 2014 and later as part of London Design Festival 2016 at the V&A museum.